Scientific-practice and theory collection of International Association of Academies of Science (IAAS). It was founded in 2000 by a decision of the Board of Directors of Science Libraries and Informational Centers of Academies of Sciences – members of IAAS. Свидетельство о государственной регистрации печатного издания – серия КВ № 16086–4558Р от 16.12.2009 г. 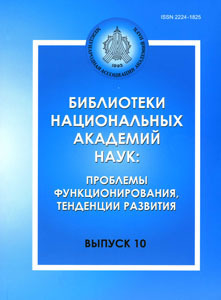 Founder: International Association of Academies of Sciences, Board of Directors of Science Libraries and Informational Centers of Academies of Sciences – members of IAAS, National Academy of Sciences of Ukraine. Publisher: Vernadsky National Library of Ukraine. 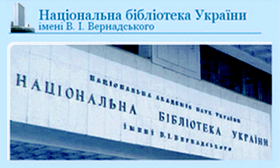 The head of the editorial board: Oleksiy Semenovych Onyshchenko, NASU Academician. Editor: Nataliya Borysivna Zakharova, Candidate of Historical Sciences.